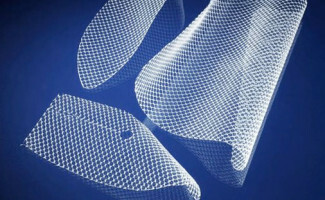 A lawsuit filed against hernia mesh maker C.R. Bard, Davol Inc., and Covidien, LP has been removed to federal court where it may join a consolidated legal action pending against the defendants. The product liability claim was initially filed in the 234th Judicial District Court of Harris County in Texas by Maurice and Juliet Goudeau. It was transferred after the defendants filed a notice of removal that moved the claim to the U.S. District Court for the Southern District of Texas. More than 200 lawsuits are currently pending in the multidistrict litigation. They claim that the defendants sold surgical products that were defective in design. These mesh products include Bard Sepramesh, Composix, PreFix plug, and Ventralex. They have been associated with a high rate of failure, which may require the patient to undergo revision surgery. These cases were consolidated into the MDL because they involve similar questions of fact and allegations made against common defendants. When lawsuits are centralized into an MDL, they undergo a coordinated pretrial discovery process to prevent duplicative discovery and avoid contradictory rulings across districts. This particular MDL is pending in the U.S. District Court for the Southern District of Ohio. The honorable U.S. District Judge Edmund A. Sargus is presiding over the MDL. It would be typical for any new federal Bard mesh lawsuits to be directly filed in the MDL. However, it’s unclear whether the lawsuit filed by the Goudeaus will be consolidated with the rest of the claims, given that it involves Covidien ProTack. The ProTack is a single-use mesh device made of titanium. It’s used to affix prosthetic material, including surgical hernia mesh, to soft tissue. There are different types of hernias, and they don’t always require surgical repair. A hernia is hole or a weakness in a muscle. This structural weakness allows tissues or organs to bulge or protrude through. Most commonly, hernias occur in the abdominal and groin regions. Late in 2008, the plaintiff was diagnosed with an upper midline reducible hernia. He underwent laparoscopic surgery on October 20th, 2008 to repair the hernia. During the procedure, the surgeon implanted a portion of Bard mesh into the abdominal cavity. It was secured to the abdominal wall by Covidien ProTack material. In March 2017, as he was sitting at home, the plaintiff began suffering from severe abdominal pain. He was taken to the emergency room, where at CT scan revealed that the Bard mesh and ProTack material had both separated from the abdominal wall. The mesh had separated into multiple pieces, some of which were adhered to the intestinal walls. The plaintiff additionally suffered severe vomiting, swelling, bowel obstructions, and substantial scar tissue. The original surgical mesh lawsuit, which was filed on January 16, 2019, states that the plaintiff was forced to undergo revision surgery to remove the surgical implants and about 18 inches of the plaintiff’s small intestine. He was later forced to undergo a second revision surgery when it was determined that portions of the mesh had migrated, causing complications in other areas. Similar claims have been raised by the other product liability lawsuits filed against the defendants. The plaintiffs allege that the surgical mesh has a high rate of failure and is not reasonably safe for use.